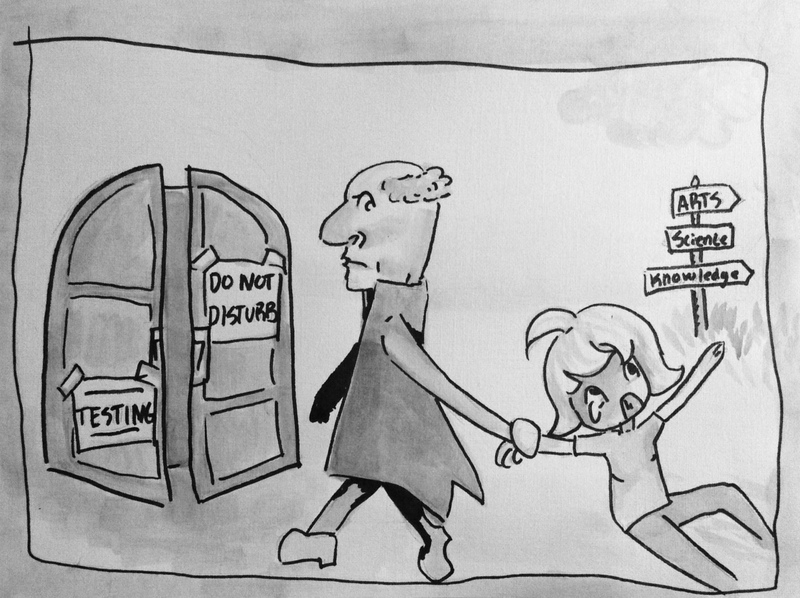 Posted on April 22, 2015 by staceyanderton1	in Entertainment, Features and tagged comic, SHS, Standardized testing. Posted on April 14, 2015 by staceyanderton1	in News and tagged junior high reporter, PSSAs, Standardized testing. The PSSAs (Pennsylvania System of School Assessments) are right around the corner for the junior high and teachers are scrambling to make sure the students are prepared for testing in English Language Arts, math, and science. “This year we have switched to the PA Core Standards, and the test is going to more difficult than before,” explained reading and English teacher Mrs. Nicole DeFrances. “I think even though it is harder, everyone should still strive to improve,” said seventh grader, Kaylee Mulligan. Many students are nervous about the test, but most feel as if they are ready for it. But of above all else, most students don’t care for the PSSAs. For some, it’s because they don’t like tests, but others, like Mulligan, feel that it’s an unfair way of testing one’s knowledge and reflects the school and not individuals. But from a teacher’s standpoint, they see it as a positive opportunity for students to show off their skills. Mrs. DeFrances feels that even though the students have a negative attitude towards the test, they should still show their ability by doing their best. Teachers are preparing the students by giving them state-issued practice tests. “I like the practice tests,” said Chloe Luchansky, “They give us a heads up on what he have to work on.” According to the PSSA Code of Conduct for Test Takers, students should get a good night’s sleep and eat a good breakfast the day of the tests, which will be given Tuesday through Thursday this week and next. The testing period will begin at 9:04 a.m and will last until 10:30 a.m. Students are to report to their assigned rooms with a book, water bottle, and no electronics. Breakfast will be provided for seventh graders. For more information on the PSSAs, visit www.portal.state.pa.us.